CONCEPTS X NIKE SB DUNK HIGH "UGLY SWEATER" 2017 — In Record Time • IRT designs, produces, and fulfills high-quality branded merchandising programs. For the 2017 Holiday Season Concepts unveiled a new iteration of their twisted yet festive “Ugly Sweater” Nike Dunk. The new release featured an updated a multi-colored knit paired with an overlay of their infamous mean snowman and gingerbread man pattern from the original. 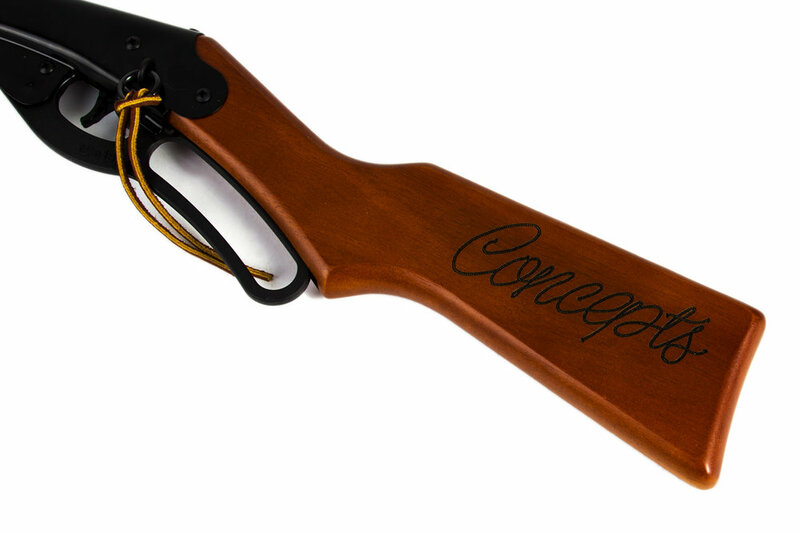 Concepts wanted to create unique items that catered to the nostalgia of this collection. IRT was able to create two products that helped further the story behind the “Ugly Sweater” Nike Dunk. The first being a reinterpreted advent calendar featuring a darker take on Christmas Cheer. 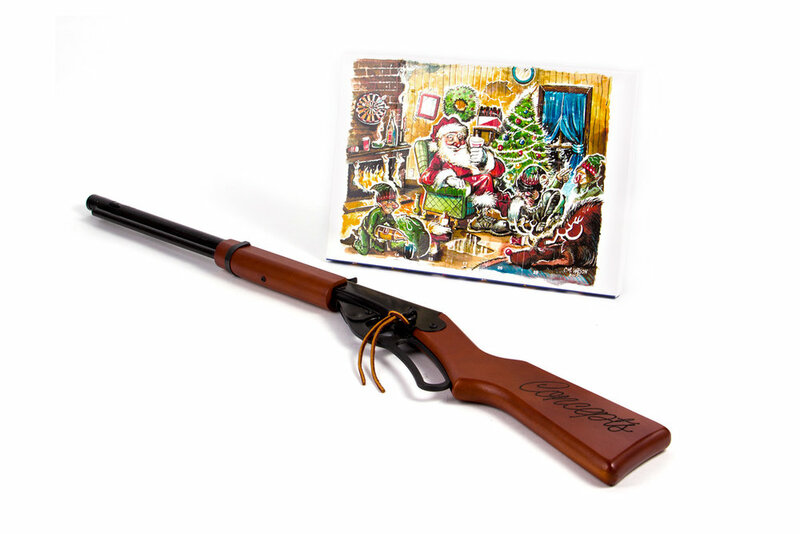 The second item was a co-branded Red Ryder bb gun straight out of the classic film A Christmas Story.